Speaking at an all-party meeting on the session's eve, Modi again pitched for simultaneous polls for the Lok Sabha and state assemblies saying that holding elections once in five years will boost development. Prime Minister Narendra Modi on Thursday sought the opposition's cooperation for a constructive Winter Session of Parliament which starts on Friday even as the Congress insisted on an apology from him for attacking his predecessor Manmohan Singh during the Gujarat poll campaign. 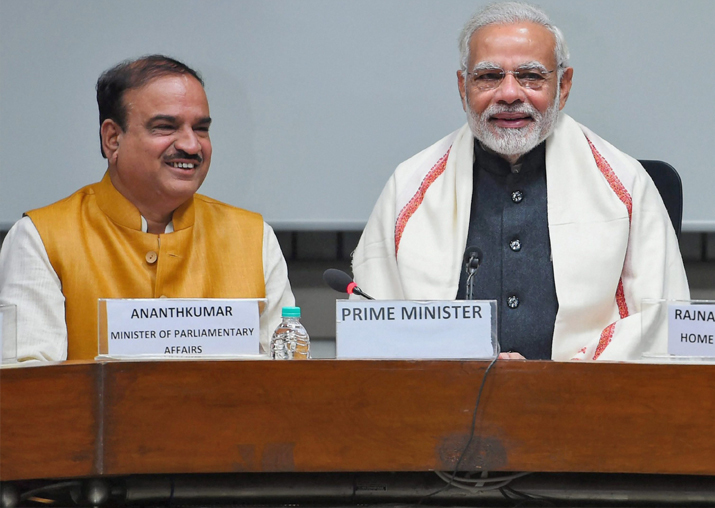 Briefing reporters on Modi's remarks, Parliamentary Affairs Minister Ananth Kumar said the Prime Minister appealed to leaders of all political parties to help build a consensus on the matter. PM Modi has been pushing for simultaneous polls, saying an almost uninterrupted cycle of polls across the country hampers government works due to enforcement of model code of conduct and deployment of officials in elections. "He also sought their cooperation to make the session meaningful and constructive," Kumar said. Kumar added that the government is ready to discuss all the issues, including those to be raised by the opposition parties, adding that he would request all the MPs to work "full time" to dispose of the business. "The government is ready to discuss and debate any issue. Several issues would be raised by the opposition and the government would obviously give its response," he said. "It is also the opposition's responsibility to run Parliament. The Prime Minister has sought opposition's cooperation for smooth functioning of Parliament," he added. Kumar said that 25 Bills are listed in the Lok Sabha and 39 Bills are pending in the Rajya Sabha which would be taken up and disposed "according to priority". The most important business would be the Supplementary Demands for Grants, which is the first one after the implementation of GST; the 123rd Constitutional Amendment for setting up of National Commission for Backward Classes as a constitutional body; and the Bill against triple talaq. 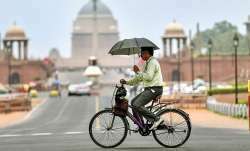 Besides, the government would also bring Bills to turn three Ordinances into Acts, which include on the GST compensation to states and Amendments to the Indian Forest Act and the Insolvency and Bankruptcy Code. Meanwhile, senior Congress leader Ghulam Nabi Azad said that the Prime Minister has levelled very serious allegations against a former PM, former Vice President, former Army chief and a few retired diplomats that they were conspiring along with Pakistan. “The government must tell the Parliament as to what kind of conspiracy it was," he told media persons after the all-party meeting. "If the allegations are true, the government must take action. If they are false, then those levelling such wild allegations must be punished. Why does BJP rakes up Pakistan in every elections? It is them who go uninvited and make friends with them," Azad, the Leader of Opposition in the Rajya Sabha, added. Leader of Congress in Lok Sabha Mallikarjun Kharge wondered as to how the government would do justice to 25 Bills in just 14 days. "Besides, a Parliament session is not meant to just transact the government business. There are several other important matters of public concern which need to be discussed apart from the opposition's issues," he said. On the other hand, Speaker Sumitra Mahajan said that she would strive to ensure that a healthy discussion is held on all issues raised by leaders of political parties in the Parliament. 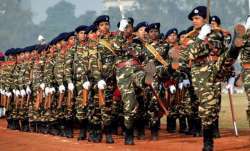 The Speaker also said that besides government business, she would try to take up matters raised by members in the course of the session. The Winter Session ends on January 5 and would have 14 sittings.